We develops a one-type-fits-all cable-free power system for home devices, that eradicate the need for cables, plugs, and adaptors. We have working prototype and provisional patent. 1. A mobile wireless charging market going to grow to $4B in the US by 2022. 2. A car and vehicle wireless charging market going to grow to $2B in the US by 2022. 3. 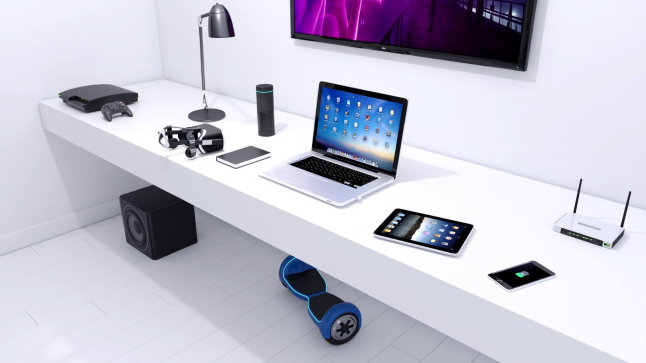 A wireless charging for home consumer electronics. We expect to be market-ready in the next 12 months with a high-speed wireless charger for mobile devices. In the next 5 years Meredot will continue to deliver a line of products for contact-free powering of different types of electronics including consumer electronics, electric cars, drones & robotics. People has the necessity to carry different cables and adapters for each device, search for available sockets, and continually plug and unplug portable devices and desktop appliances. The one-type-fits-all cable-free power system for home devices. Meredot eradicates the need for cables, plugs, sockets and adapters. Better wireless energy transmission efficiency. Its mean we able to charge wirelessly with the same speed as cable. And no overheating of the device. Providing to companies B2B licensing and getting royalties 3 - 6 % will be easy entering us to the market. 1. Licensing for B2B, providing rights to use Meredot technology we get 3 - 6% profit from wireless charger sales. 2. OEM partnership, we develop a wireless charger module for using by different companies in their applications. Manufacturing and wholesale the product for B2B with a 30% margin. Competitors can copy our hardware solution. April - July 2018 Israel acceleration program - MassChalange. Got a second place at Emerge conference in Minsk.